TOKYO – Subaru has picked a name for its upcoming rear-wheel drive sporty car: The BRZ. A new technology concept of the vehicle, which enters production in the spring, will be shown at next month's Frankfurt auto show, with the production version debut at the Tokyo show in December. The Subaru BRZ gets its name from the B in boxer engine, the R in rear-wheel drive and the Z in zenith, as in the "ultimate passion" for sports cars, according to Subaru. The sporty coupe is being jointly developed with Toyota Motor Corp. 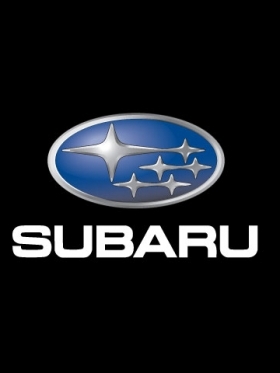 It will feature Subaru's horizontally opposed boxer engine and be manufactured at Subaru's plant in Gumma, Japan. Toyota, which will sell a rebadged version, is in charge of the styling. Toyota has been calling its version the Scion FR-S, and sheet metal concepts have been floating around since the 2009. Subaru has yet to show a full concept of its version, opting instead for a clear plastic mock up that showcases the powertrain architecture it is developing. Both cars are expected to share exterior styling.